Effective September 1, 2013, Richard Ferlazzo has been appointed design director of GM Australia. In his new role, Mr. Ferlazzo will be responsible for Advanced, Production, and Global Contract programs, becoming a member of the Holden Senior Leadership Team reporting directly to Executive Director GM International Operations Design, Michael Simcoe as well as GM Holden Chairman and Managing Director Mike Devereux. Mr. Ferlazzo replaces Andrew Smith, who left Holden in August to assume a Senior Design position in Detroit. 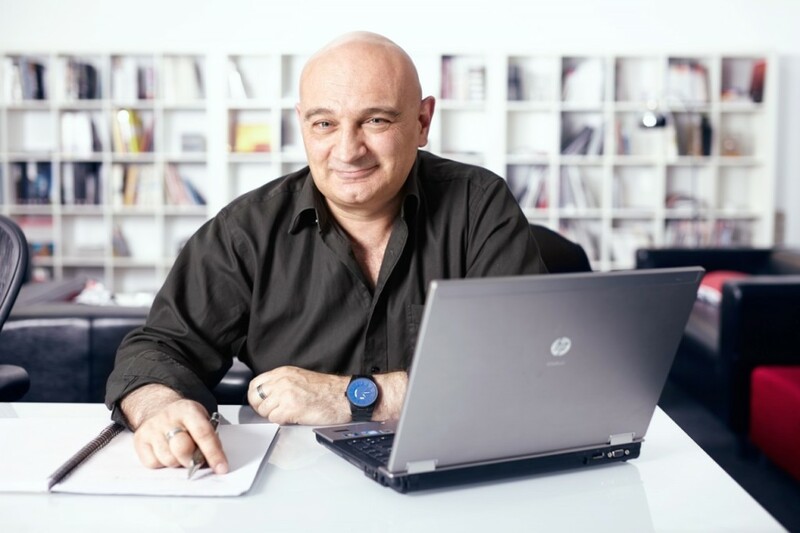 Mr. Ferlazzo has had quite the productive career, qualifying as an Industrial Designer with RMIT in Melbourne in 1982. He has been designing cars for GM-Holden for 25 years, initially starting as a Creative Designer in 1988. Since then, Mr. Ferlazzo has been managing design operations behind-the-scenes, leading interior, exterior and advanced design, along with concept car creation and international design programs. He also spent time in Detroit working on Chevrolet and Cadillac programs in 1995. During his career at GM Holden, Mr. Ferlazzo has played a role in practically every Commodore program since VN, with career highlights including leading the interior design team for the VR Commodore, leading the exterior design team for the VT Commodore program, and serving as the Chief Designer for the VE and VF Commodore programs. In 1994, Mr. Ferlazzo was tasked with redesigning Holden’s iconic Lion corporate logo, which remains unchanged to this day and can be seen decorating hundreds of thousands of Holden vehicles. Mr. Ferlazzo was also responsible for creating the jaw-dropping and award-winning Holden EFIJY concept car in 2005, which was awarded the coveted ‘Concept Car of the Year’ prize in the United States after being displayed at the 2007 North American International Auto Show in Detroit. Additional career highlights include the ‘new millennium’ V2 Monaro and GTO programs. 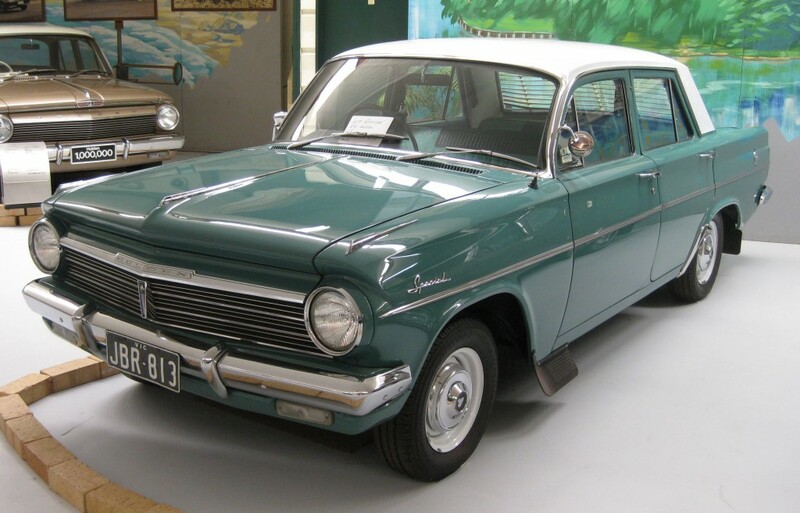 Born into a dedicated Holden family (his father owned an EH Holden), Mr. Ferlazzo grew up in Windsor, New South Wales and moved to Melbourne, Victoria at age 10. “Holden is in my blood and I’m looking forward to the challenge of ensuring Holden vehicles continue to evolve to meet the needs of our customers now and in the future,” he said. So, what’s the designer’s favorite Holden of all time? The EH Premier — a vehicle produced from 1963 to 1965, preceded by the EJ and replaced by the HD series. I noticed this as well. It’s a distinction that might or might not mean anything… but it’s a distinction nonetheless. Maybe they want to stress the “We are Holden, your GM. Thou shalt not have any other GM besides us.” (especially no Opel and no Chevrolet). GM is now a global company and is not tied to one division or one continent. Nothing new here as even in the case of the Camaro it was designed and built in two continents at the same time. Work was around the clock and they worked together on the same project. The Opel/Buicks will be built using the same strategy in Far East, North America and Europe. Each will contribute and work together as GM not just Buick, Opel, Holden, Chevy or any other division. Also many of these people will be moved around to gain better working relationships with the other locations. That burgundy metal monster in the first picture is one of the most beautiful cars I’ve ever seen. Ferlazzo sketched the first Holden EFIJY design in 1989 – effectively a modern Hot rod take on one of Holden’s very first cars the FJ – it was first shown here at the Aussie Motor show in 2005. That EH looks like a old Nova with a Chrysler like grill. The EFIJY is very nice as I saw It a few years ago. Holden just did what Buick did with the Blackhawk a name I wish Buick would use again on a production car. They all got into this retro mode after the Prowler and Chip Foose hit the design scene. But there were no ideas of ever building it or the Buick. Should note that the Efijy’s paint colour is called Alchemy and is available on selected trims on the new VF Commodore. Unfortunately it’s not on the sports trims meaning that even if GM would allow the Chevy SS to come in more colours, alchemy would not be available.